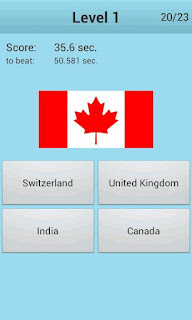 Swarm Blog: World Flags Quiz Goes Global! World Flags Quiz Goes Global! 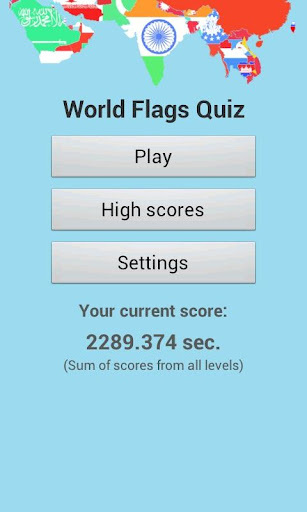 World Flags Quiz is a new Android game by developer Paridae. In World Flags Quiz, players are tasked with identifying as many different flags as possible (as quickly and accuragely as possible). In true worldly fashion, the developer of this game has included a total 230 flags spread across 10 levels of difficulty! Paridae has also gone the extra mile to please geography lovers by translating the game into 22 different languages (automatically set based on the device's languge setting). Want an extra touch of global, social competition? 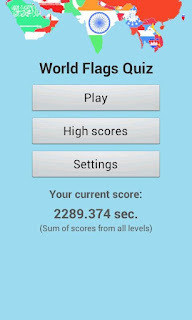 This World Flags Quiz Android game also includes global leaderboards (powered by Swarm). So what are you waiting for? Get your hands on this solid new free quiz game and buff up your geo skills today! Can You Catch The Escapee?